As an integral part of the state’s overall response team, the Louisiana Wing stepped up during 2016 to help meet the challenges presented by heavy flooding. In March and again in August, wing members provided continuous support both on the ground and in the air. The wing provided more than 8,000 images to the state and massive amounts of disaster assessment information to key state and federal decision-makers. The wing’s government relations and homeland security advisor, Col. Art Scarbrough, remained in contact with key officials while embedded with the Air Operations Branch of the Governor’s Office of Homeland Security and Emergency Preparedness. “Being on-site and having direct input allowed us to respond quickly and to maximize the skills and capabilities of Civil Air Patrol,” Scarbrough said later. The Louisiana Wing combines the talents of its highly skilled volunteers in service to the people of Louisiana as the primary low-cost force multiplier for the U.S. Air Force, the federal Department of Homeland Security, the state of Louisiana and a multitude of local emergency response organizations. Louisiana Wing aircrews and ground support members routinely participate in disaster assessment and relief missions in response to incidents ranging from periodic flooding to devastating hurricanes. The wing’s single-engine aircraft, equipped with state-of-the-art cameras and manned by professionally trained crewmembers, provide aerial imagery to state and federal emergency managers when needed. 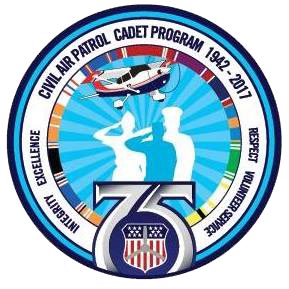 And Civil Air Patrol’s highly successful cadet programs continue to help develop leaders for tomorrow. For the last 75 years, CAP has supported the people of Louisiana and the nation in times of peace and conflict. We stand ready for any contingency! Copyright © 2017 Losisiana Wing Headquarters. All Rights Reserved.